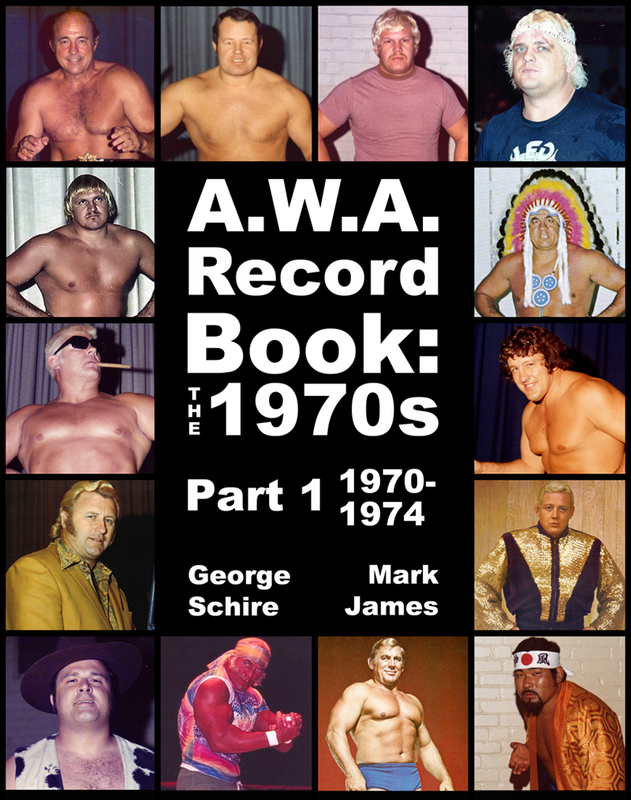 'AWA Record Book: The 1970s Part 1 1970-1974' by Mark James and George Schire Is Out Now! Take a look back at one of Professional Wrestling's greatest promotion, the AWA territory. This second record book in our AWA series has all the known cards and results for 1970 through 1974. 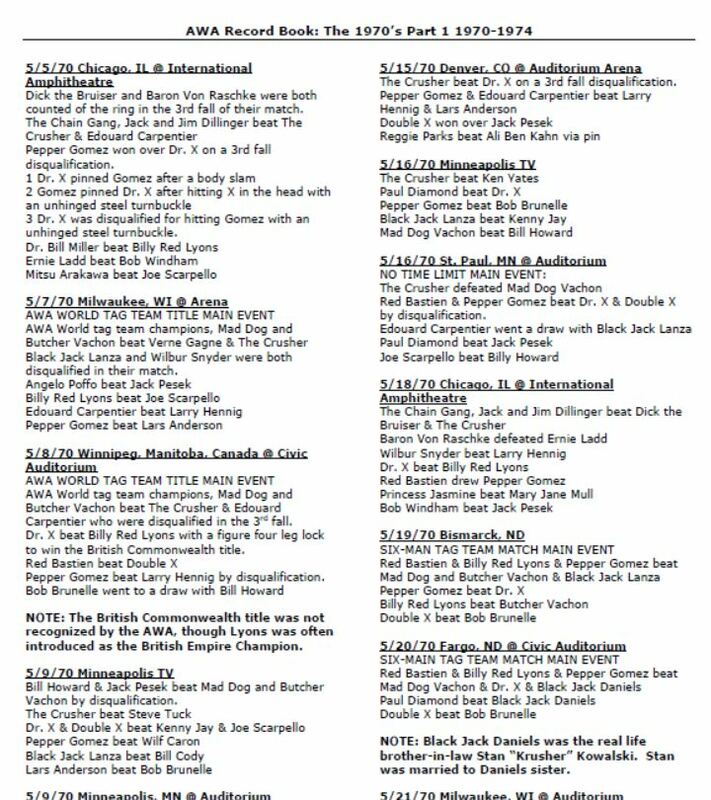 George Schire and Mark James take you back in time to the beginning of the famed AWA Midwest promotion and show you what happened in all the city's the AWA held cards in. This book features programs as well as photos of the wrestlers involved. Also included in this amazing look back is a special Foreword written by one of the AWA's most loved star's Kenny Jay. To see a sample page of the cards & results within the book: CLICK HERE!